One Live Oak is an approximately 199,000-square-foot office building in the prestigious Buckhead/Lenox submarket of Atlanta, Georgia. Built in 1981 on more than two acres, the 10- story property is within walking distance of the five-star Ritz Carlton Hotel and world class shopping at Lenox Square Mall. One Live Oak’s main lobby is finished with granite floors, cherry and walnut walls, and is home to The Bucket Shop restaurant and bar. The property offers ample parking with a seven-level, 625-space parking structure that provides 3.1 spaces per 1,000 square feet. One Live Oak is an approximately 199,000-square-foot office building in the prestigious Buckhead/Lenox submarket of Atlanta, Georgia. Built in 1981 on more than two acres, the 10- story property is within walking distance of the five-star Ritz Carlton Hotel and world class shopping at Lenox Square Mall. One Live Oak’s main lobby is finished with granite floors, cherry and walnut walls, and is home to The Bucket Shop restaurant and bar. The property offers ample parking with a seven-level, 625-space parking structure that provides 3.1 spaces per 1,000 square feet. One Live Oak is currently 92 percent leased to the U.S. Securities and Exchange Commission, University of Georgia Real Estate Foundation Inc., Corporate Offices Georgia LLC and Design-Build Concepts Inc.
Make monthly distributions, which may be partially tax deferred as a result of depreciation and amortization expenses. Within approximately seven years, profitably sell the property based on the value added through effective management and operation of the property. The property’s tenant roster consists of more than 30 tenants with no tenant exceeding 22 percent of the leasable area, providing strong diversification. 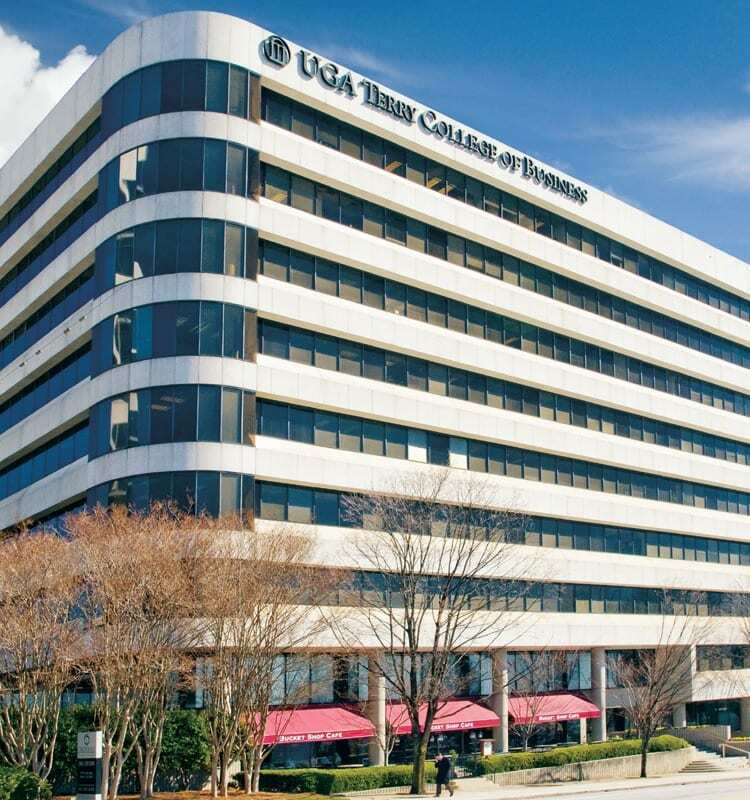 The property is a well established high-rise office building that is uniquely positioned within the Buckhead office market. The U.S. Securities and Exchange Commission (SEC) was formed after the Great Depression in 1934 to help restore investor confidence in the U.S. capital markets. Today, the mission of the SEC is to protect investors, maintain fair, orderly and efficient markets and facilitate capital formation. The SEC strives to create and maintain a market where all investors, whether institutions or private individuals, have access to certain basic facts about an investment prior to purchase and throughout their hold period. To achieve this goal, the SEC requires all public companies to disclose pertinent information to the public. In addition, the SEC monitors all key participants in the securities world to promote a continuation of information disclosure and protect against fraud. The SEC is organized into four divisions and 18 branches, each of which is located in Washington, D. C. In addition, the agency has approximately 3,800 employees in Washington, D.C., and 11 regional offices. University of Georgia’s Terry College of Business was founded in 1912 as the School of Commerce for the University of Georgia. Today, the Terry College is the premier business school at the oldest state-chartered university in the country, the University of Georgia. With more than 55,000 alumni and 140 faculty members, the Terry College has both undergraduate and MBA programs that rank 27th and 46th, respectively, by U.S. News & World Report. The Terry College has an enrollment in excess of 3,000 students, and it produces doctoral degrees in eight different academic disciplines. 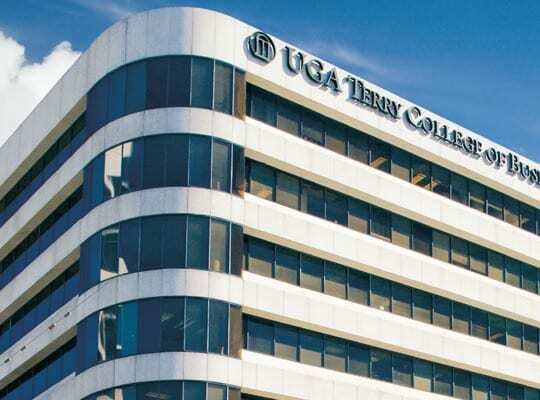 Since 2001, the Terry College has opened several degree programs in metro Atlanta. The Buckhead facility, also known as the Terry Executive Education Center, offers an evening MBA program and an executive MBA program. The facility offers a location that allows Terry College students and faculty to interact with Atlanta business community. Currently, there are approximately 350 students enrolled at the Terry Executive Education Center. Founded in 1837, Atlanta is the capital and most populous city in the state of Georgia. In the last decade, Atlanta has experienced unprecedented growth – the official city population remains steady at about 420,000, but the metropolitan population has skyrocketed nearly 40 percent to 5,138,223. With the addition of 890,000 residents since April 1, 2000, the Greater Atlanta area boasts the largest numerical gain of any metropolitan area in the United States during that time. A good measure of growth is the ever-changing downtown skyline, along with skyscrapers constructed in the Midtown, Buckhead, and outer perimeter (fringing I-285) business districts. Atlanta ranks fifth in the number of Fortune 500 companies headquartered in its metropolitan area. 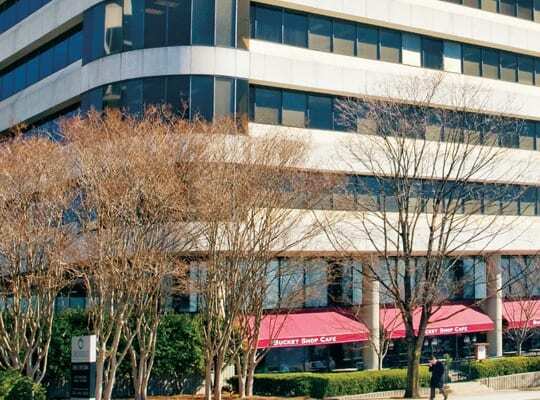 The Buckhead submarket is comprised of more than 12 million square feet and is currently 11.5 percent vacant, stronger than the current occupancy for the Atlanta Metro market of 15.1 percent. Overall average asking rents in the Buckhead submarket are $26.27 per square foot/per year plus expenses, which represents a 3.8 percent rental rate growth from the previous year. Population in the Atlanta MSA has increased at a rate of 2.7 percent per annum since 2000, nearly three times the rate of growth for the US. Over the last three years the Atlanta metro area has created more than 161,400 new jobs, decreasing the unemployment rate to 4.6 percent, the lowest level in the last five years. In 2006, Atlanta’s employment grew at an overall rate of 2.6 percent, higher than the national average of 1.5 percent over the same period. Triple Net Properties, LLC has time-tested experience in real estate syndications, acquisitions, development, construction, leasing and property management. Triple Net currently manages a growing portfolio of over 34 million square feet of property in 28 states valued at more than $4.6 billion. Although past performance is no guarantee of future results, Triple Net Properties, LLC has an unparalleled track record and has acquired 249 properties to date. Triple Net and affiliates have sold 90 properties for over $2.0 billion since 2000.